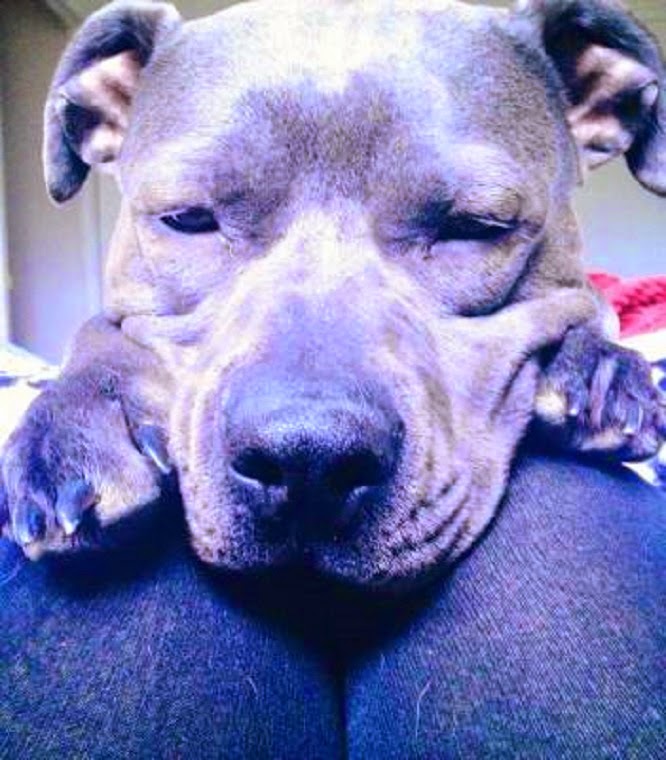 Pit bulls are one of the most misunderstood breeds. 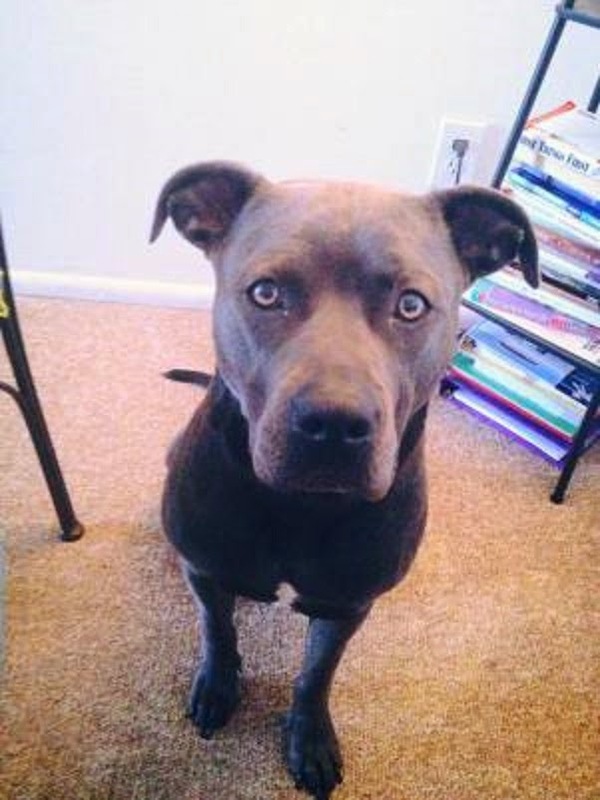 There are some cities in America trying to outlaw them, and I know from experience that certain apartment buildings won’t allow tenants who own pit bulls. Recently, a family released a video of their four-year-old daughter standing between six pit bulls and their dinner. 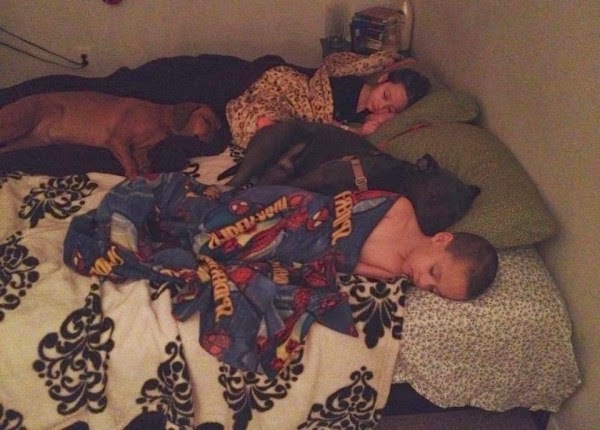 What did those pit bulls do? They waited patiently until the little girl said they could eat, of course! 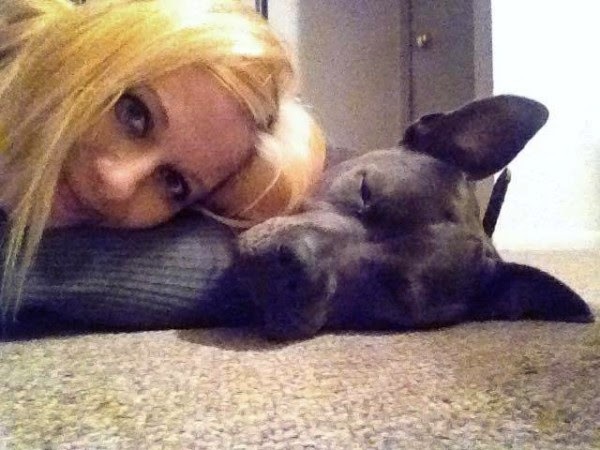 Thank God for people like aspiring singer, author, and motivational speaker Ashley Gulla, who writes extensively on her blog about the joys of rescuing her pit bull, Romeo. 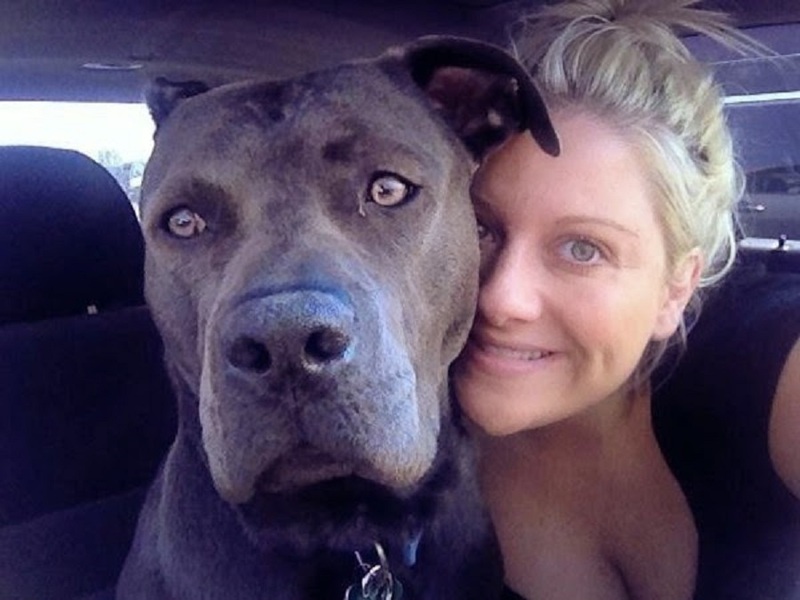 Pit bull lovers (and all dog lovers), will enjoy her blog — but meanwhile, enjoy this letter that Ashley wrote about what she wishes she knew before adopting a pit bull. 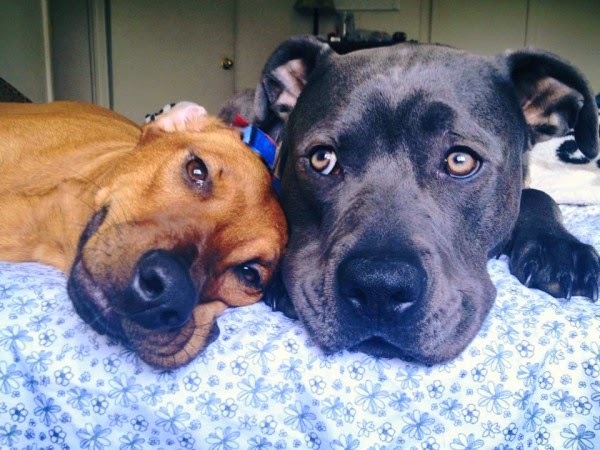 "WHAT THEY SHOULD HAVE TOLD ME BEFORE I RESCUED MY PIT BULL"
They said, “he’s strong, about 67 lbs, and he’s a puller but with some training he’ll be great.” Okay, I thought. Easy enough. But what they should have told me was something entirely different. What they should have told me was this. Then you will read up on all the facts and statistics about pit bulls and realize half of what people believe is completely false or terribly misconstrued. Like pits having lock-jaw? False. Pits are born aggressive. False. Pits have stronger jaws than Rottweilers. 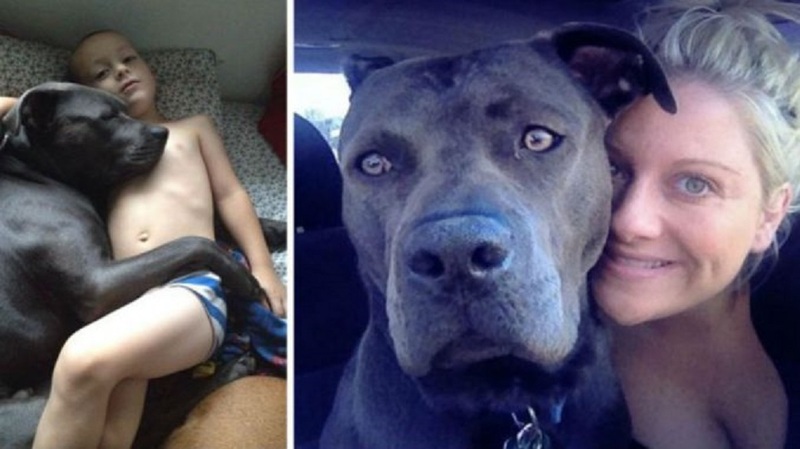 False Pits don’t make good family pets. FALSE. Also, in the midst of being accepted into his pack, you will learn what loyalty really means. You will also know what it feels like to be scared half to death every single time your doorbell rings before explaining to your mailman, “he’s nice, I swear! Sorry…thanks for the– sorry again.” Then you both will laugh, well, you will and he will look at you proudly, expecting a treat. You will learn the frustration you feel when he is destroying your kid’s toys or eating food he’s not supposed to or barking when you wish he wouldn’t, fades quickly. That snuggling has now taken on a whole new meaning called: all over you, all the time, no matter what. And now you make it a point to never appear to do ANYTHING that could look like you’d be hitting him because seeing him duck his head out of fear hurts. 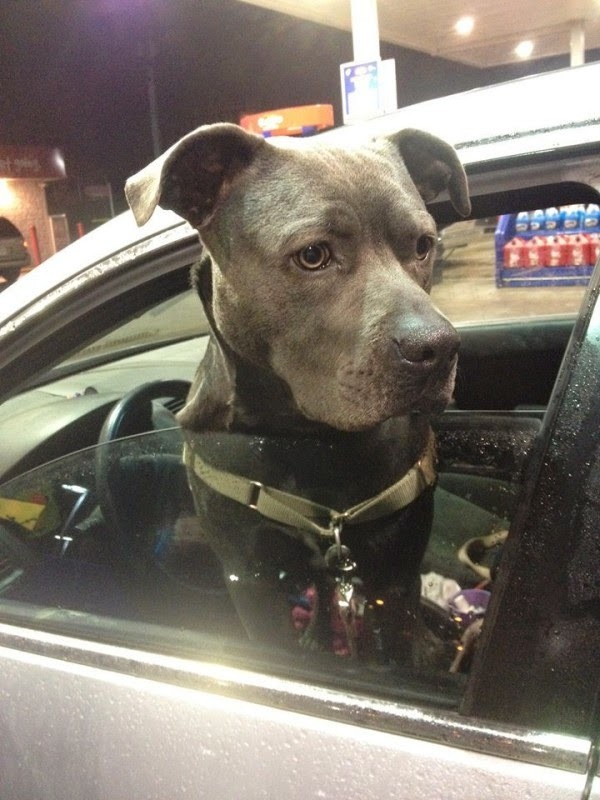 You will also learn when he’s sticking his big head out your car window to expect 1 of 2 responses – a dirty look or a smile and nod. You learn you’ll smile in both cases. Ed. Note: Visit Ashley’s awesome blog for more incredible essays!